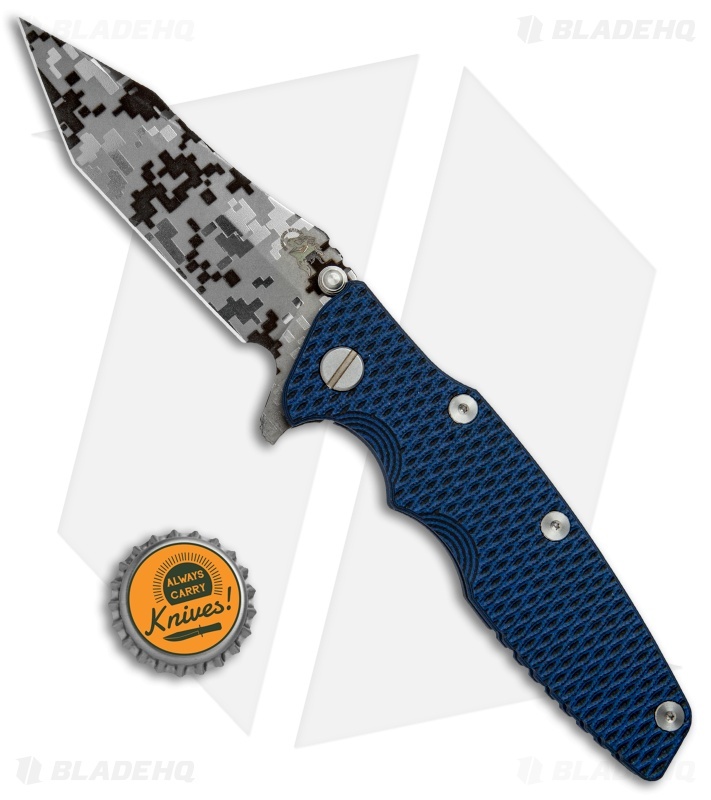 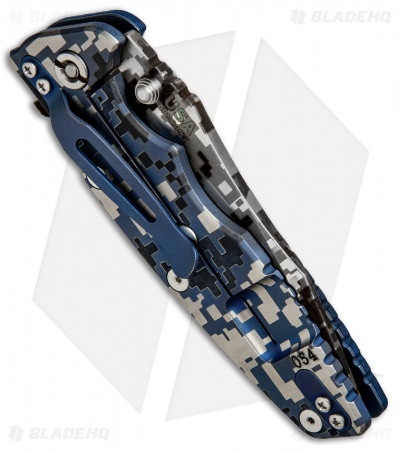 This Eklipse Gen 2 model features a black and blue G-10 front scale with a limited edition digi-camo finished tanto blade and titanium frame lock. The Hinderer Knives Eklipse Gen 2 is a tough, no-nonsense tactical tool. Its sleek Bowie blade offers a versatile cutting edge with a narrow tip for precision tasks. 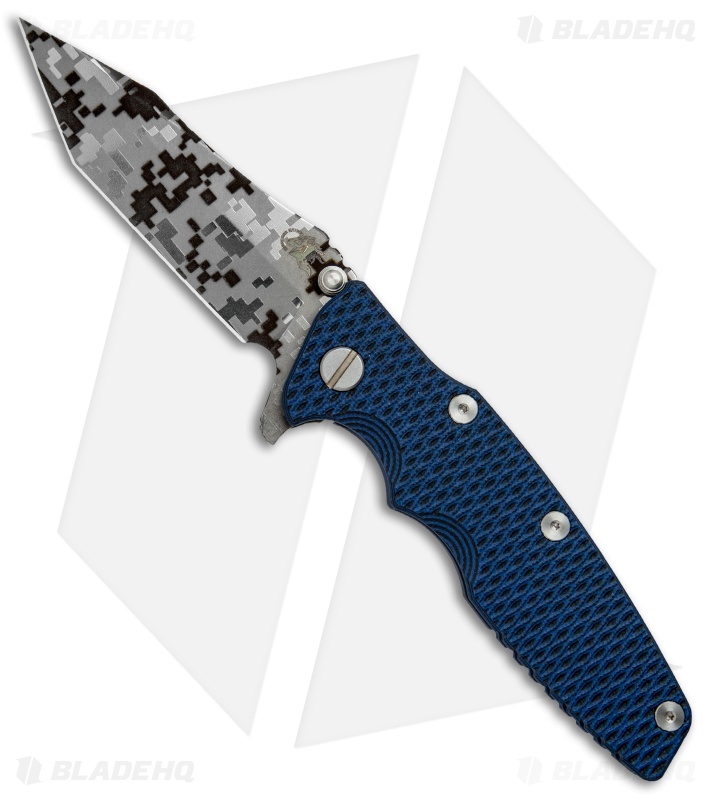 This ergonomic flipper knife is built with a durable titanium frame lock handle with expertly placed finger grooves and thumb rest for absolute comfort and control during use. 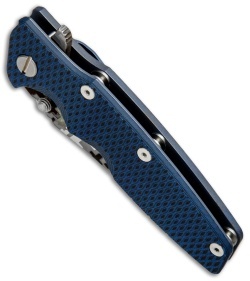 The Eklipse is fitted with the Hinderer Lockbar Stabilizer and a reversible pocket clip for right side carry. CPM-20CV blade offers top-notch durability and edge retention. Ergonomic handle design provides last comfort and grip security. Dual thumb studs and a flipper opener provide ambidextrous deployment options.